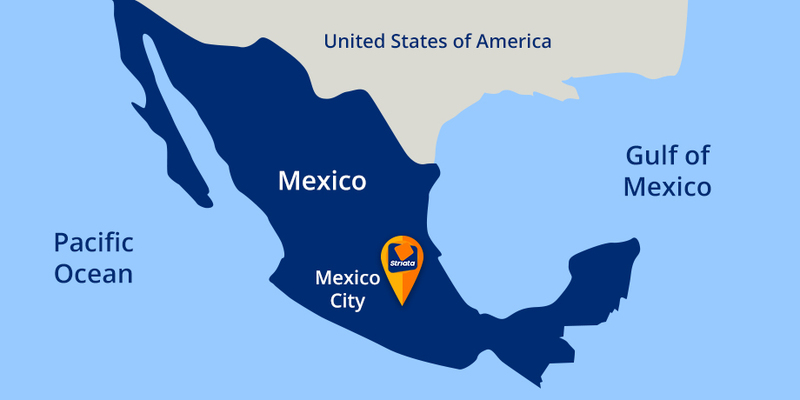 With the ever growing requirement for electronic document delivery, Striata is excited to expand its operations into Mexico and the Latin American (LATAM) region with the opening of its newest regional office in Mexico City. “We have already seen great success in the region, which has spurred the need for a regional presence,” explains Mia Papanicolaou, COO for the Americas. She goes on to say that the local office will offer sales and marketing support, working closely with customers and partners alike. Papanicolaou states that LATAM is geared for growth with an escalating need for electronic document distribution as an alternative to the often slow-to-arrive, mailed documents. Businesses partnering with Striata will have the opportunity to leverage its digital expertise, which includes effective adoption strategies, best in class email distribution for secure documents and technical know-how. “We are looking forward to assisting companies in this region with their electronic document distribution needs,” concludes Papanicolaou.